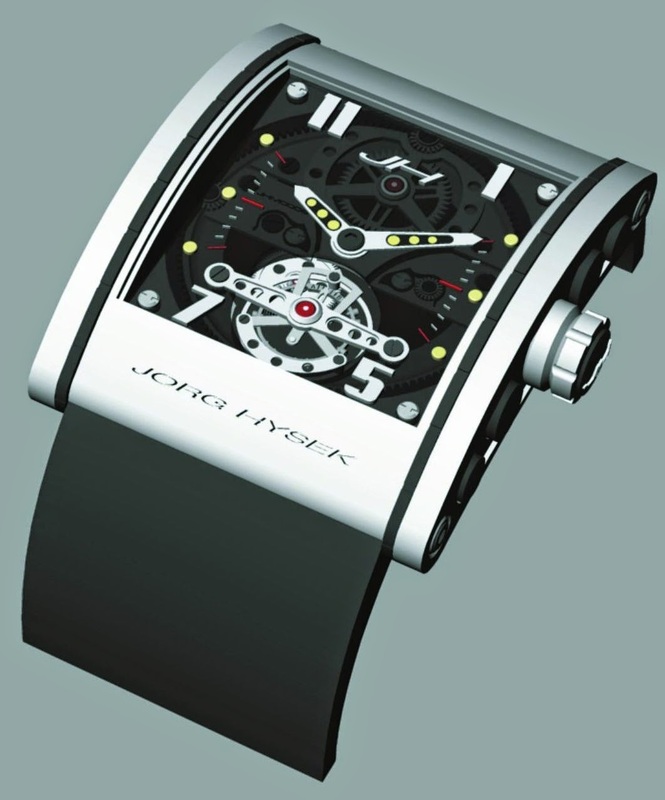 Introduced in 2003, the X – Ray model by Jorg Hysek marks a true success from both the technical and the aesthetic angle, right down to the finest details. Alongside a sophisticated, cambered case, the designer has given the entire movement a contemporary, high-tech look, including the bridges, gears and tourbillon cage. A tinted sapphire crystal dial with an opening above the tourbillon subtly reveals the very heart of this creation. The hand wound mechanical tourbillon movement of this limited edition (ten watches per year) timepiece is meticulously hand decorated and engraved. It delivers a power reserve up to 100 hours.